Being able to guarantee the quality of one of the most valuable resources which water is a great hurdle. This is because, even though most of the water boards purport that their water is safe for drinking, there are a variety of bacteria and other pollutants that can be picked up by the water enroute to your home. Even more concerning is some of the minerals that are added to the water during the treatment process like chlorine do have their own negative impacts on the body overtime. What this means is that every home should invest in a reverse osmosis water purification system to ensure that your water is completely safe and save yourself the hefty medical bills. The Home Master TMHP Hydroperfection Undersink RO System should be a worthy consideration. Here is why. Long lasting filters that not only give you longer service but also give you an easier time when it comes to changing them. This is because they do not require any tools for you to change them. Not even a wrench. 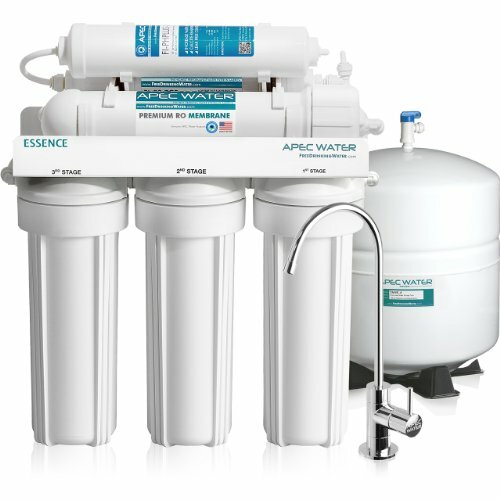 It comes with nine stages of filtration, purification sterilization and enhancement stages all of which are solely dedicated to providing only the best quality water. The filtration system is also capable of eliminating up to 98% of pollutants that are found in water which include hydrogen sulfide, chorine and chloramine as well as a variety of other pharmaceutical products that are found in water. One of the most cumbersome areas that traditional purification systems have is the fact that you can change the filter but you cannot change the canister. However, because there is residue that collects in the canister as well, the efficiency of the system becomes reduced overtime. However, with the Home Master TMHP Hydroperfection Undersink RO System, the improved modular design of the filters allows for the canisters to be changed as well. When it comes to fighting micro-organisms and viruses, chlorine has been the solution that has been regarded mostly as the best. However, Home Master has found a way of making UV light even more effective and even better is the fact that it does not affect the quality of the taste of the water and more importantly does not affect your health. 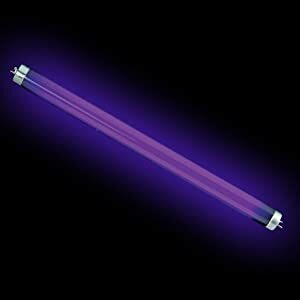 The technology for using UV light to kill microorganisms has also been recognized by the EPA and hence users should not have a shred of doubt about the ability of the technology to deliver impeccable results. Never again do you have to stand for minutes unending waiting for your glass of water to fill up. This filtration system comes with the Perfect Water technology system fast flow RO kit which comprises of larger fitting and tubings that allows for a higher water flow rate compared to the traditional options that are available which is nearly double. With the added permeate pump that does not run on electricity, the system is able to reduce the wastage of water by about 88% and at the same time increases production of water by about 50%. The increased rate also helps to reduce TDS creep hence providing water that is cleaner and safer compared to other options that are available in the market. A 5 year limited warranty against defects that might arise on the count of the manufacturer as well as provide you with the confidence that you are investing in a reliable water filtration system that will be able to deliver without headaches. The longer lasting filters means that you are able to get services for longer and when their time runs out, you can rely on the easy to change feature that does not require any tools to change them with ease. The system is highly reliable and offers you value for your hard money. The installation process is easy and color coded to ensure better understanding and easier installation. It is economical both in its pricing and its ability to save you money compared to having delivered water. For you ultra clean glass of water, you might have to contend with some extra noise as this product form Home Master does not score very well when it comes to silence. The only problem is that it has to be placed under the sink but you can insulate the area and the noise will be reduced significantly. The design is also not the very best and more so because it is similar to most of the traditional filtration systems only that it has the modern design. However, this should not be much of a problem since the system will be tucked under your sink and hence not many people will see it after all. 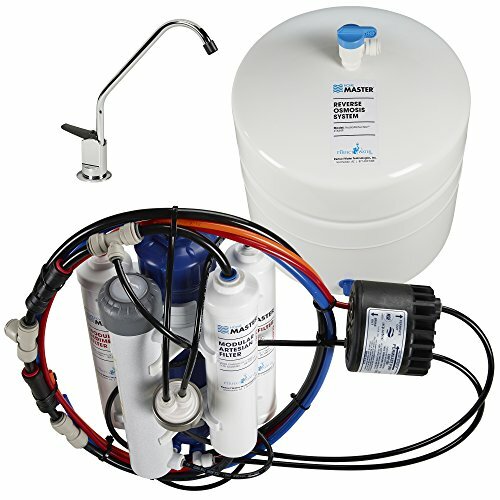 If you are looking for a water filtration system that is capable meeting all your expectations and delivering high quality water for you and your household without having to endure through the struggles of the set up and constant breakdowns which can be disappointing, then the Home Master TMHP Hydroperfection is the perfect fit. Even if it is your first time buying such a system you can rest assured that you will have a great experience with this particular one. I live near the beach in Florida, so I am constantly dealing with hard water. 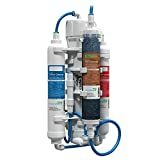 My kids didn’t like the taste of our water even after it was filtered through our refrigerator, so we purchased this Home Master filter in October of 2015. We have been so pleased with our new system! I am not a home improvement pro, but I was able to install the Hydro Perfection system in one afternoon. The system works very quiet, so it doesn’t add any more noise to our already loud household! We have not dealt with any leaks, and I am happy to report that my kids are drinking much more water now, especially on hot summer days. 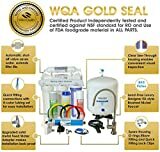 One of the reasons I purchased the Home Master HydroPerfection system was the fact that I would be able to install it myself. I enjoy working around my house, and the hourly rate for a plumber is very high in my area. I want to give an honest review that shows the positives and negatives of this product, especially regarding self-installation. If you want to tackle this product yourself, you HAVE to watch the videos provided by the company. They were so much more helpful than the written instructions, so do not skip this step! The instructions stated that the project could be completed in 45 minutes, but I ended up spending up almost 3 hours on it. That’s still a reasonable time frame for me, but just be aware that it will likely take longer than 45 minutes. The product’s rigid tubing was the most difficult thing about the installation. It is hard, but not impossible, to maneuver it correctly, so you’ll need a good dose of patience. I’ve never worked with quick connects and disconnects before, and these are hard to connect under pressure. However, this isn’t a bad thing, since it helps prevent leaks. Although there were a couple of bumps in the road of installation, I heartily recommend this product. Our water tastes crisp and pure now, and we are saving a lot of money each month since we cancelled our water delivery service. Hello, any idea how much water is wasted with this system? It depends on how much water you’re planning on using. The system itself is pretty efficient. Also, depends on the level of minerals in your water. I read that it is a 1:1 system regarding water waste.